5.0 MF was very accommodating with price and location. i was married on June 17, 2018. MF met me at my bridesmaid's house the Friday before my wedding. Her work was beautiful! I still have the stain now! She emailed me a lot in the months before my wedding. I wanted all of the prominent Catholic symbols on my legs as I was marrying a Baptist and was going to be barefoot for my wedding. She sent me all of her sketches she had made in drawing pencil and in henna. She even brought her sketchbook to the appointment! I will certainly use her in the future. The photographs are perfect. Thank you!!! 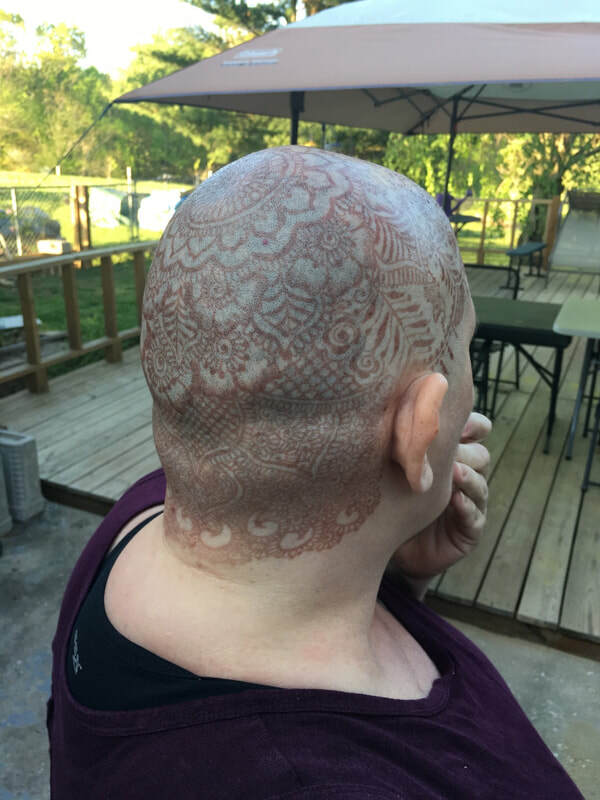 ​5.0 Marcela is an amazing henna artist. I came to her with a fun idea to do necklaces for myself and my bridesmaids using white henna and they were the biggest highlight of wedding! She did a complimentary trial for me and after I had e-mailed her some feedback she did designs on the wedding day that were exactly what I was looking for but in her own artistic style! She also recommended a henna artist to do henna for the guests at cocktail since she was not available for that, that was also a huge hit with my guests! Thanks again Marcela! Marcela was amazing. She was so easy to talk to and express what I was looking for. She sat for 7 hours straight and did my bridal henna which is impressive. Her pricing is very reasonable and she is easy to work with. I would recommend here to anyone looking for beautiful henna. 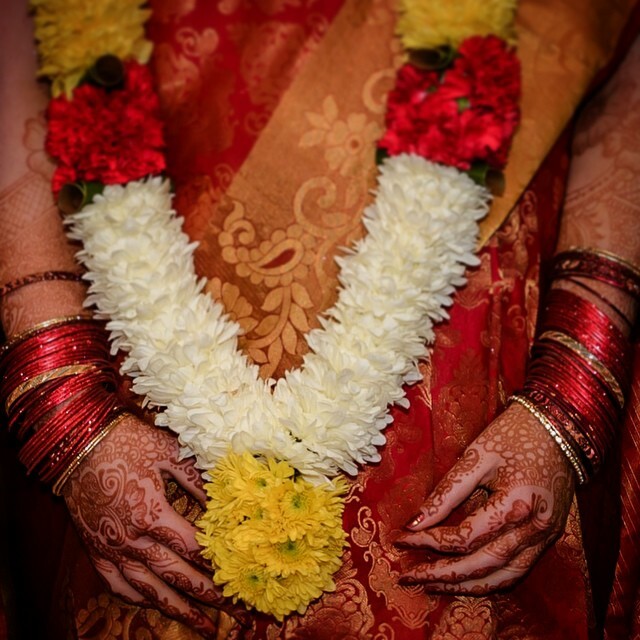 Also her henna paste is so good, the color was almost black on my wedding day. I was so happy! 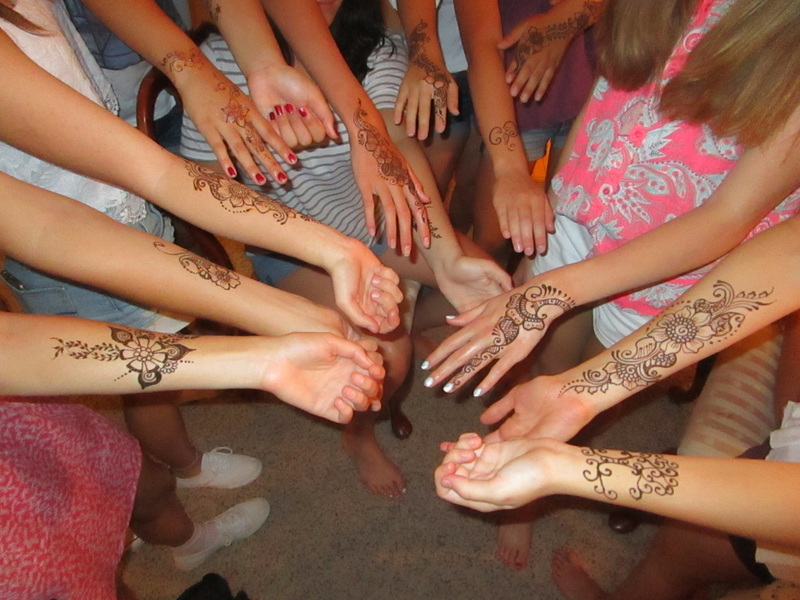 U will not regret hiring marcela for your henna. "first of all marcela was absolutely wonderful. i loved my very first experience getting hennaed (real word? maybe not). we emailed back and forth for a good part of the day, she sent me pictures and also brought pictures with her in order for her to get a better understanding of the design i was looking for. we settled on remake of a picture i found online & even added glitter, LOVE! i also got to know her a little bit which surprised me a little bit. marcela is such a sweetheart. next henna tattoo im coming to her. thank you so so so sooo much. i love it." 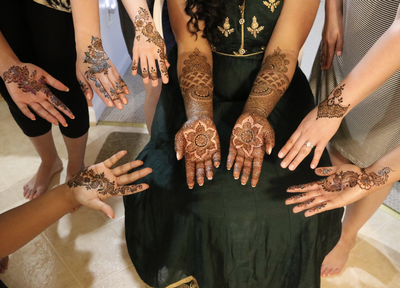 Marcela Farouqi is a very talented henna artist.We were at awe with her beautiful designs.Each guest had a distinct piece of wearable art on their hands.She was very profesional,extremely patient and she went the extra mile to make sure my guest were happy.I will definitely hire her anytime. 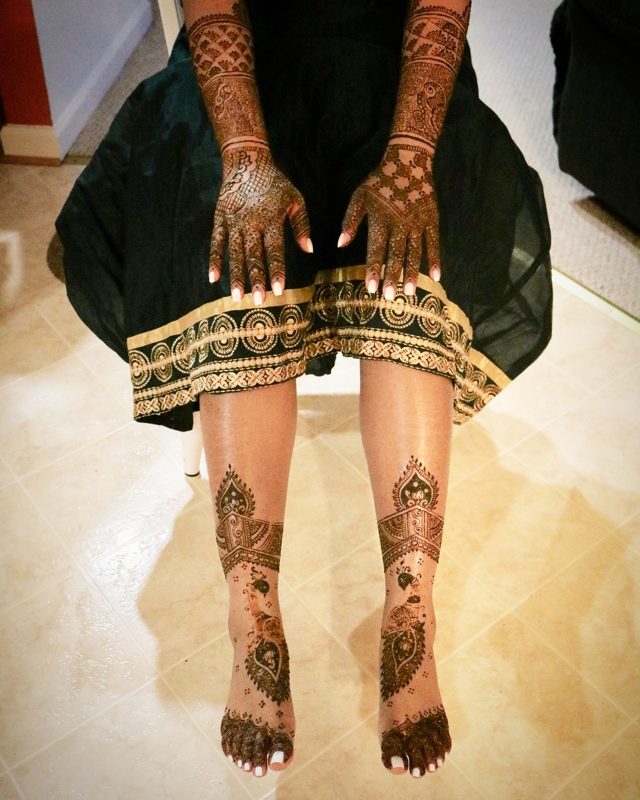 ​"One of the best mehndi artists in the DMV area! I wish I would have found her for my wedding last year bc she is SO MUCH BETTER then the artist I used. Marcela was great with communicating via email and phone calls. She was prompt with sending an invoice for deposit. She was on time for my brother's mehndi even though she was coming from over an hour away on a friday night in rush hour traffic! She even ended up staying later then usual to make sure everyone was taken care of! And still only charged the original quoted price! I will recommend her to everyone I know�she is THAT good! 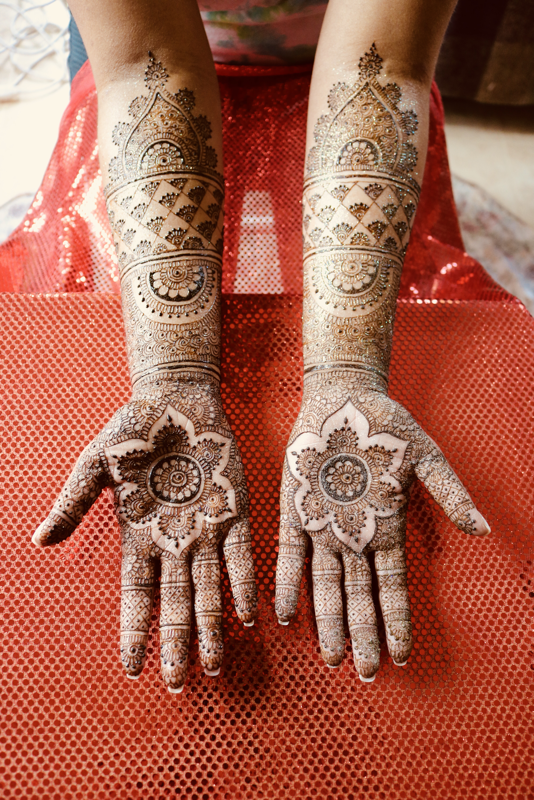 And I hope to use her again for any other mehndi needs we may have! If I had not been a bit sick, we would not have taken up so much of this wonderful ladys time. VERY talented. Kind woman. I have no problem recommending her to anyone. Her husband set up a tent for us outside as I started to feel ill. The fresh air helped tremendously. She was a blessing!! I am so glad that we found Marcela for our mehndi. She is so committed to the quality of her work, and she ensures beautiful designs without making the day feel rushed or hectic in any way. 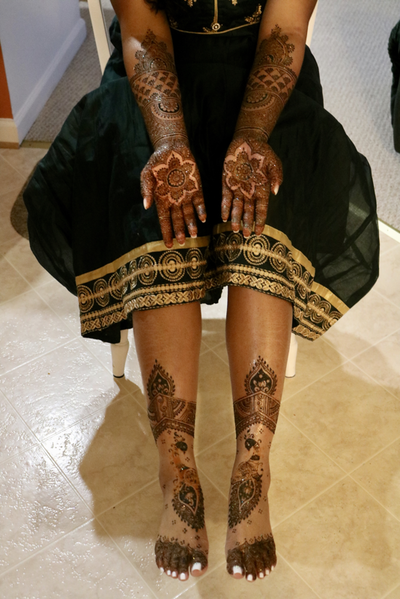 She did stunning bridal henna for me, some beautiful custom designs for my bridal party, and then the hands of at least 30 of my friends at our mehndi. And she does all of her designs free hand and on the spot. No two designs were the same! The ladies absolutely loved their designs and everyone raved about how sweet Marcela is and how responsive she is to specific requests. I would highly recommend her for parties and for intricate, detailed, bridal henna. 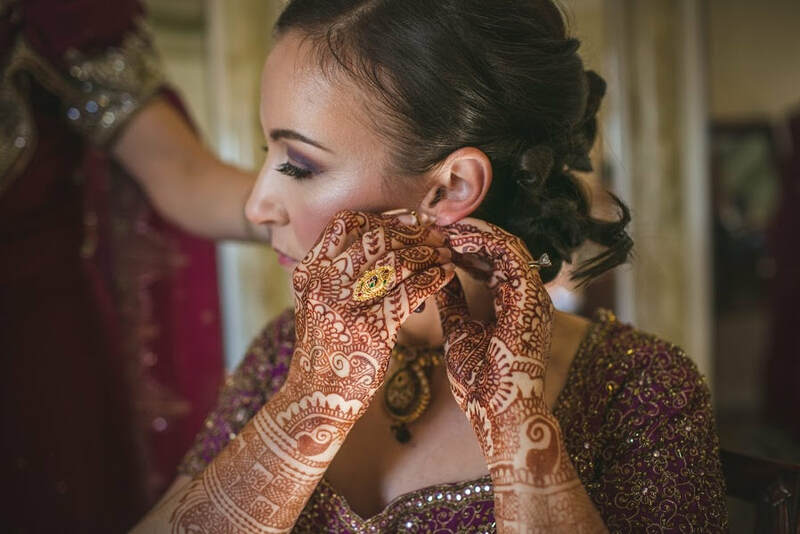 "Marcela did a wonderful job on the henna for my wedding and was kind and interesting to talk to during the many hours we spent together.". "A wonderful experience. Marcela does beautiful work. She took her time with everyone, and the girls all loved their tattoos! I would recommend her completely!" 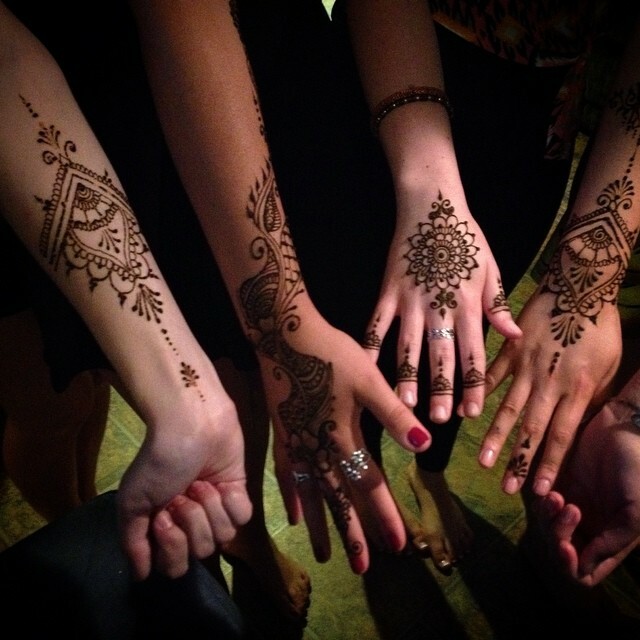 "We contacted Marcela for henna designs for a girl's night and to celebrate the pregnancy of a dear friend. Saying that her services were awesome would be an understatement! She was professional and the designs were gorgeous. I will definitely use her again!"